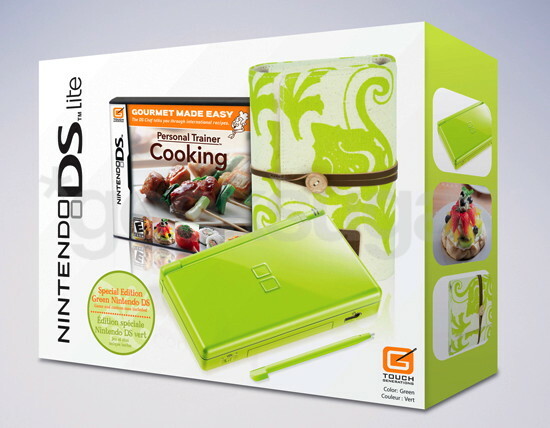 There’s no word on price, but Nintendo is releasing a new lime green DS Lite bundle in the US with Personal Trainer: Cooking on May 3 with a chichi case to match. Yay! I wonder who this bundle is targeted at? Can we please get Virtual Console for the DSi instead of this crap?